As we are going to fetch the categories, let’s create a category model which has two fields - CategoryId and CategoryName. With the .NET Framework, we used to use containers like LightInject, NInject, Unity etc. 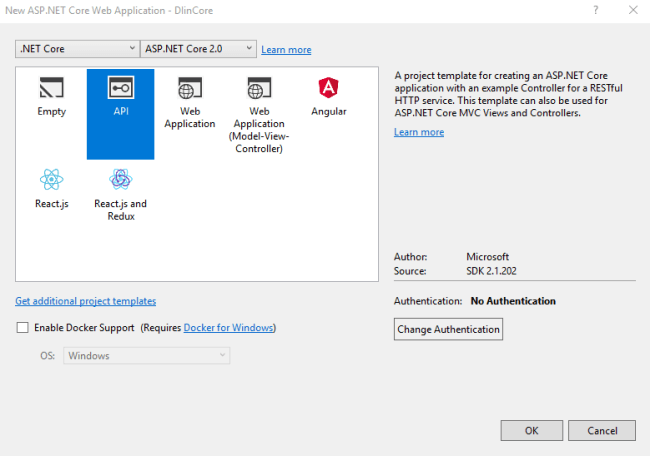 But in .NET Core, Microsoft has provided an in-built container. We need to add the namespace, i.e., Microsoft.Extension.DependencyInjection. So, in the startup class, inside the ConfigureServices method, we need to add our dependency into the service collection which will dynamically inject whenever and wherever we want in the project. Also, we can mention which kind of instance we want to inject - the lifetime of our instance.